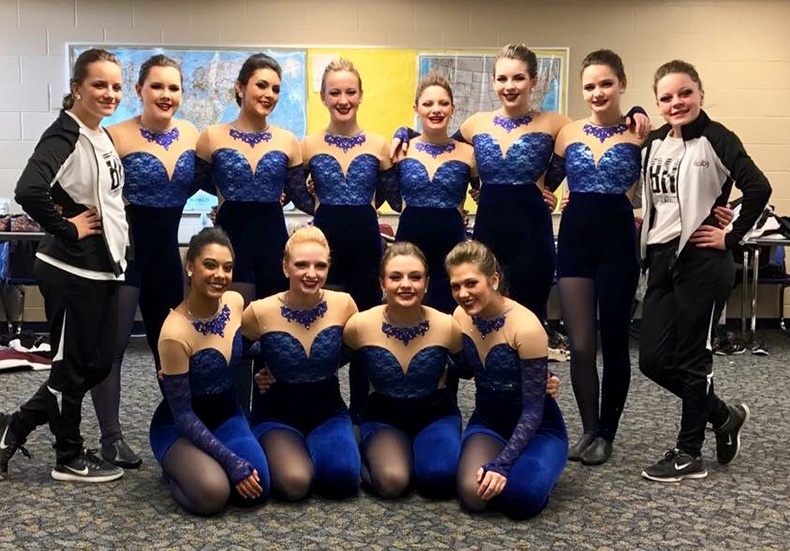 The Bismarck Demonettes Dance Team competes locally and nationally for hip hop, pom, AND high kick, but it is with high kick that the team has strong roots. Established in 1962, the team was founded by a former Radio City Rockette, and they still know how to rock those those high kicks! 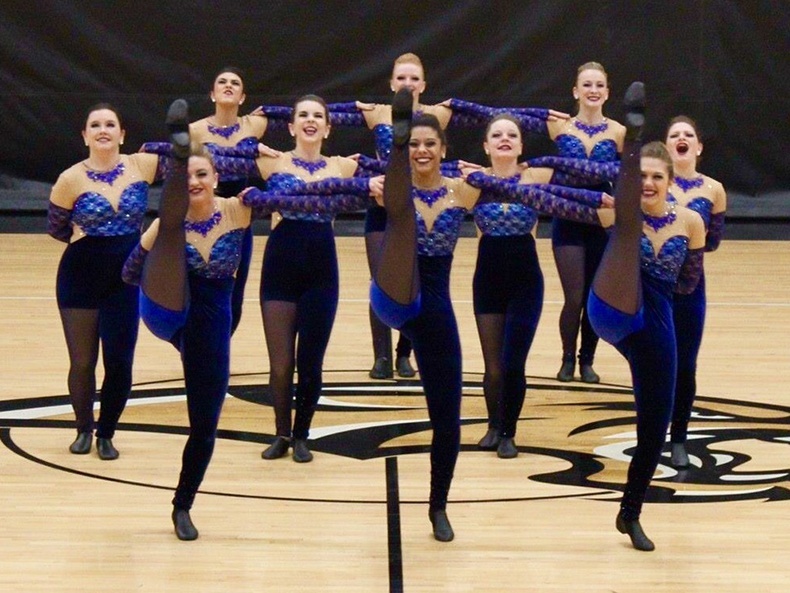 This past season, the team danced to Chandelier by Sia, which was the first piece of inspiration for their high kick routine. "We wanted to look classy and elegant, and of course sparkly, like a chandelier," explained Coach Jen Holwegner. 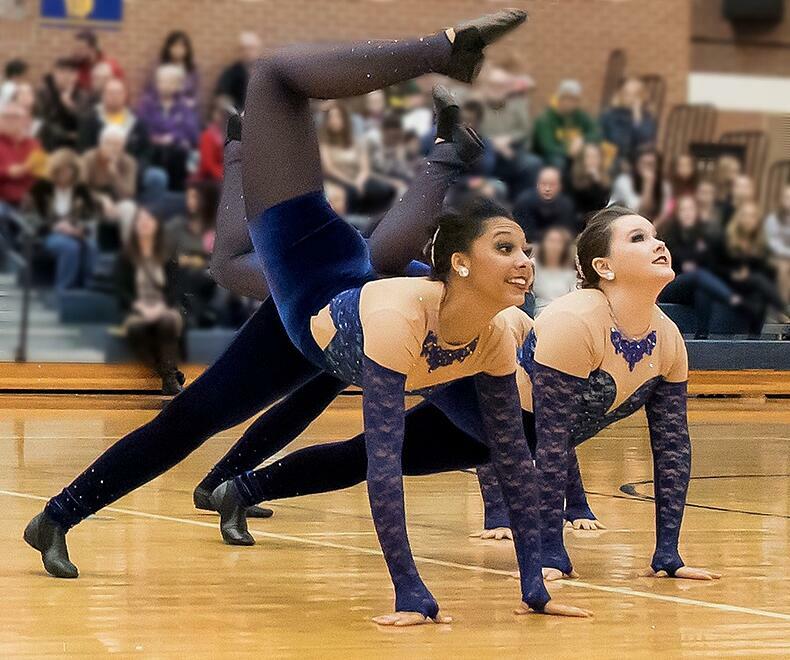 The team achieved their vision with an elegant blue velvet and lace unitard. A sweetheart neckline and applique necklace created the perfect feminine look to convey their chandelier theme! Check out more Q&A with Jen below. Congratulations, Jen, on a "Coach of the Year" nomination from NDDD State! We have a team of 12 with 8 Freshman! We are a very young team so we had to work extremely hard this season to show that we still have what it takes to be one of the top teams in the state! What is your favorite memory from the season? Our favorite memories are being invited to perform at the University of Minnesota Dance Team's Best of the Best and being 5 time state hip hop champs in North Dakota!